The FACES Ministry provides direct services to around 500 children and adolescents from the poorest families in the Ecuadorian society. 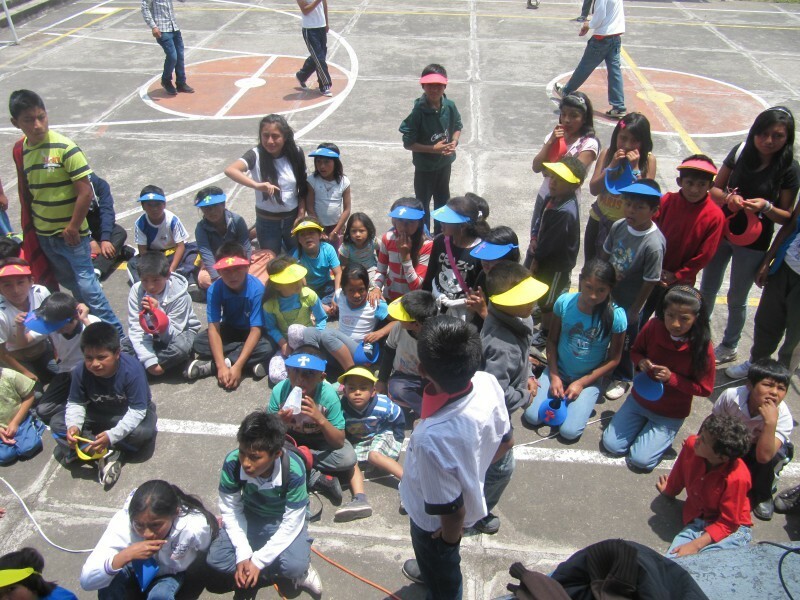 We operate a day program in the city of Quito where we receive working children. We also have an after-school prevention program for children we have identified as being at risk of child labor. The FACES Ministry Center is a safe place where the children come to receive a nutritious lunch, learn from the Word of God, get help with their homework, and play. We offer skills workshops called The Worthy Life Project where we major on self-esteem, leadership, and creativity. Our kids participate all sorts of Clubs such as music, creative arts, and crafts. Our staff does follow up with the children who are not enrolled in school to reinsert them into an educational program. We operate a night school, New World Christian School, approved by the Ecuadorian Department of Education, where working adolescents who have dropped out can earn their high school degree. We also operate educational projects in remote villages with a permanent staff that works with the children and families to keep the children in school and discourage immigration to the city, thus turning the tide on child labor. Some families receive financial assistance to buy school supplies and uniforms. Our centers also network with government and private medical centers to provide basic health care for our children. We place a special emphasis on computer technology in our programs. Our staff is trained in teaching special computer skills that open up a future of new opportunities for our kids that they would not receive elsewhere. We also offer our specialized computer training to public schools in the area, extending the ministry's influence into the public education sector. 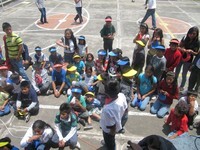 Our philosophy centers around the active participation and co-responsibility of the communities and families involved. All the parents attend monthly workshops where they learn about topics of interest to them, for example: child rights, appropriate discipline, Christian family relationships, health and hygiene, and other practical topics. Our lessons are always full of scripture and include times of prayer and reflection. Above all, we give the children and families love and respect in Jesus name. In addition, the FACES project encourages the formation of Community Norms in favor of children's education in place of child work. Some villages have adopted a formal stance against child labor for all it's inhabitants. We work within the government and the community at large to raise consciousness concerning the problem of child labor, sponsoring media events and forums. In the areas where we have a presence, we work actively with other children's service agencies to form functioning networks for child protection and write ordinances to control child labor.